Hot Tin Roof has one of the best waterfront dining views of the harbor. Dine in or out and watch mother nature create spectacular sunsets while sipping on a cocktail and/or enjoying a romantic dinner in paradise. What to expect? You can expect to see a menu inspired by traditional Florida foods with Latin, Caribbean and tropical influences - dubbed as “conch fusion.” Open for breakfast, dinner and an unforgettable Sunday Brunch. The Sunday Brunch is more laid back where guests can enjoy endless Bloody Mary Bar and Bottomless Mimosas. Maybe that’s why it’s unforgettable! There really is not a bad seat in the house because there are lots of windows for water/sunset views. Wondering how the restaurant got its name? The restaurant pays homage to one of Key West’s famous authors and residents - Tennessee Williams, by playing on the title of his well known play “Cat on a Hot Tin Roof”. Daily Happenings: Martini Monday, Tapas Tuesday, Wine Down Wednesday, Throwback Thursday, Dayboat Friday, Brunch on Saturday & Sunday. Location. Location. Location. Hot Tin Roof overlooks the popular Sunset Pier (decorated with brightly colored stools and umbrellas) at the end of Mallory Square. This is one of the best places to grab a drink before dinner and sunset. Reserve your dining experience at Hot Tin Roof. 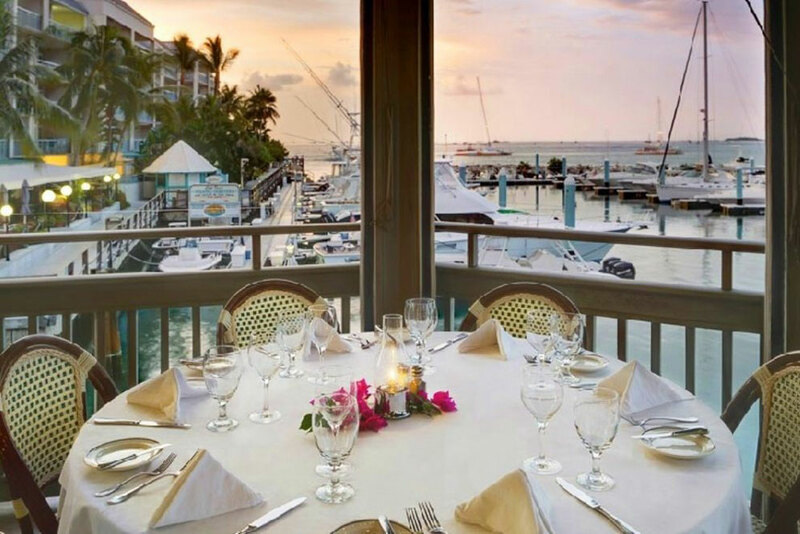 Enjoy the freshest seafood on the island overlooking the marina at A&B Lobster House and Alonzo’s Oyster Bar. A&B specializes in lobster, both from Maine and Florida, prepared with a delicate fusion of the classic and contemporary styles of the chefs. We can’t just give them credit for the seafood, they also serve prime choice when it comes to their steaks. If you’re looking for Surf N Turf this is the place to go. A&B Lobster House is open for dinner from 6-10pm. Dine upstairs and outside on the wrap-around balcony or dine inside the beautiful timeless dining room. If you love great seafood and Oysters this is the place to go! Located at A&B Marina at 700 Front Street, below A&B Lobster House, you’ll find Alonzo’s Oyster Bar. Alonzo’s is a much more casual restaurant than A&B, offering a seafood-centric menu & full bar with daily happy hour. Alonzo’s is open 11am - 10pm. Award-Winning! Fine Dining! Island Elegance! That’s just a few ways to describe one of the most unique dining experiences on the island. Welcome to Latitudes! 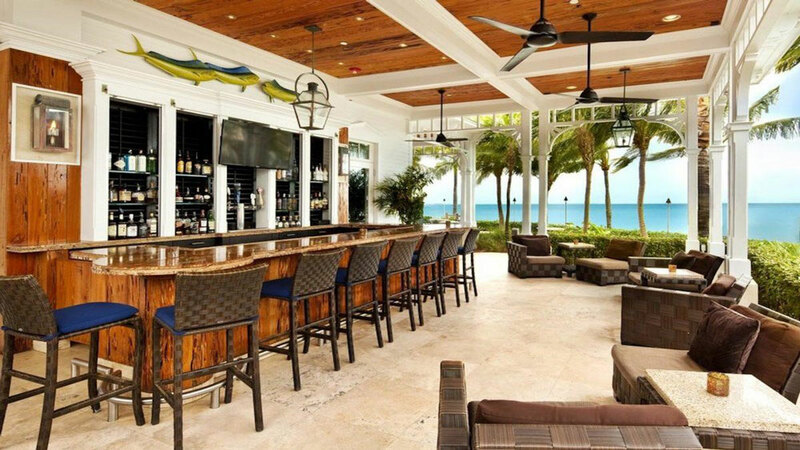 Located on the secluded Sunset Key, Latitudes serves a fresh flavorful island cuisine with swaying palm trees, ocean breezes and gorgeous views of the Gulf of Mexico. The only way to get there is by taking an 8 minute boat ride from Margaritaville Resort. Latitudes It has been named one of Opentable's 100 Most Scenic Restaurants in America for 2017! 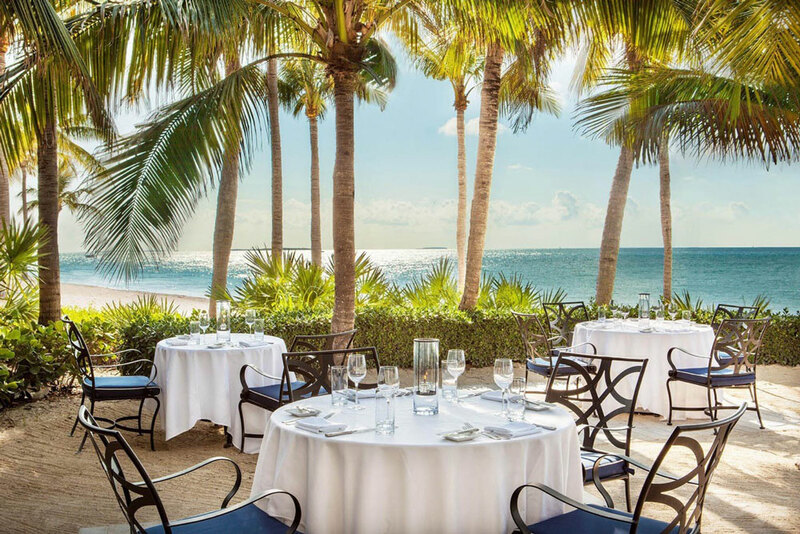 Additional awards include #1 Best Overall Restaurant in Key West by OpenTable in 2016, and one of the 100 Most Romantic Restaurants in America for 2017. Learn more about Latitudes Menu and exceptional dining experience in paradise. ZAGAT named it one of the 8 Hottest Restaurants In Key West. Reservations are required. Reserve your dining experience at Latitudes today. Important to know: Your reservation time is actually your boat departure time. You will need to head over to boat slip 29 in the Margaritaville Resort Marina, 245 Front St. Please arrive 5-10 minutes prior to your departure time to check in with the boat hostess.